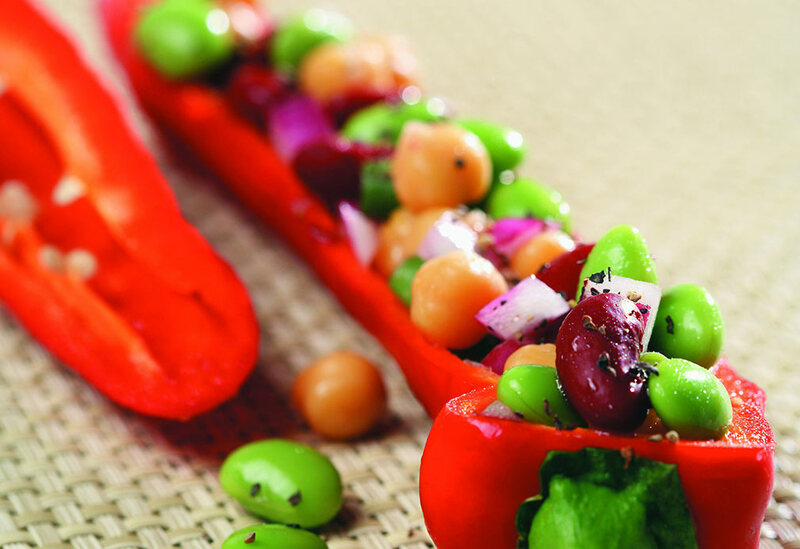 This easy and flavorful starter combines Asian and Latin ingredients for a dish with unique flair. Canola oil’s high smoke point makes it ideal for sautéing the filling, while its mild taste lets the smoky heat of the sauce pop. 1. In skillet, heat canola oil and sauté onion, garlic, pork and chicken until golden brown. 2. Add ginger, chives and tomato paste. Season with soy sauce, black pepper and sesame oil. Mix well. 3. For sauce: Combine vinegar, canola oil and agave nectar. Add carrots and chili powder. Whisk to combine. 4. 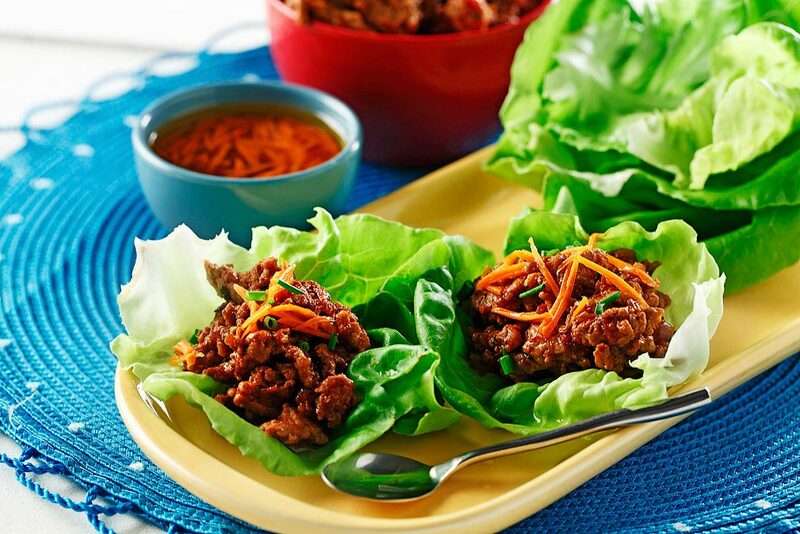 Serve with lettuce leaves and allow each guest to make own wrap. To make, place 2 Tbsp (30 mL) meat mixture in middle of lettuce leaf. Drizzle with 1 tsp (5 mL) of Agave Chipotle Sauce. Fold lettuce leaf around mixture and eat. 2 Tbsp (30 mL) meat with 1 tsp (5 mL) sauce in a lettuce leaf. 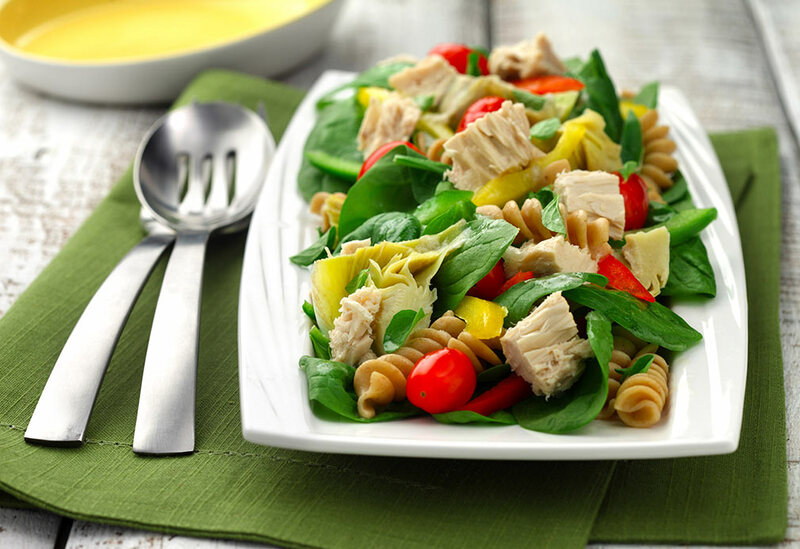 This is an interesting alternative to traditional pasta salad with a ton of great vegetables and flavors to satisfy any palate.